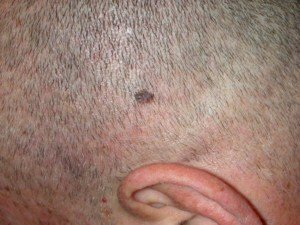 Why Does A Mole Biopsy Sometimes Miss Melanoma? 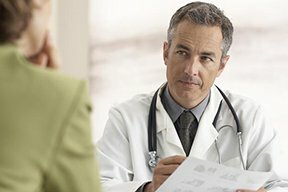 Isn’t it frightening to read of a case in which a biopsy incorrectly labeled a mole as benign, and it later turned out to be a missed melanoma? This happens. “This should be an EXTREMELY rare occurrence,” says Allison Arthur, MD, FAAD, board certified dermatologist with Sand Lake Dermatology Center in Orlando, FL. It’s rare alright, but not impossible. Yes, it has happened. 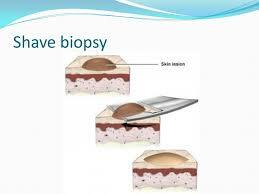 But how could a biopsy (viewing cells under a microscope that were extracted from the skin) miss signs of melanoma? “I can think of four circumstances in which this could happen,” says Dr. Arthur. “Only a small portion of a skin lesion is biopsied, and the portion sampled is not representative of the rest of the lesion (it doesn’t look as bad under the microscope, but other areas would have shown more atypical microscopic features),” says Dr. Arthur. This is why it’s always better to have the entire mole removed rather than just a portion of it! Just get the whole thing taken off. Never mind a scar. If it’s benign, no more will have to be taken out, and the scar will be barely noticeable, if at all. To avoid this scenario, request that the mole be “scooped” out of the skin (excision biopsy). The “scoop” will NOT leave a noticeable scar (save for initially while the area is healing). This is really scary to know. You wonder how this could be, since melanoma cells look much different from normal cells under a microscope. 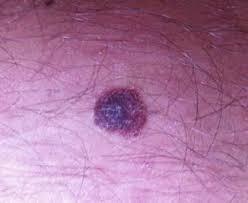 This melanoma wouldn’t be from the lesion that was originally removed, but it would seem that way. And there’d be no way of knowing for sure. If you just don’t feel right about a mole, even if a doctor says, “It looks benign,” request an excisional biopsy. And don’t be afraid to watch it being done if it’s located in an easy-to-view area. Dr. Arthur is a Mayo Clinic-trained dermatologist and dermopathologist who cares for patients of all ages, providing skin cancer and other medical/surgical treatments, plus cosmetic treatments. Can Melanoma Be Mistaken for Normal Cells Under a Microscope? Can a Melanoma Biopsy Spread Bad Cells?